Six patients and three staff from the VA polytrauma unit in Richmond, Virginia, were our guests to a Washington Capitals game one Tuesday night in February. These patients were all combat veterans, who had endured traumatic brain injuries in the war. Felix, a former Naval Corpsman, is a therapist with Richmond Polytrauma who has coordinated with Freedom Alliance several times in the past. He worked closely with a Freedom Alliance volunteer, making preparations to ensure a smooth evening. 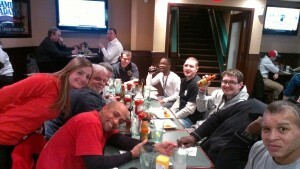 The group gathered beforehand at the Green Turtle, a restaurant close to the Verizon Center, for dinner. The servers here made our vets feel comfortable and relaxed, and the food was very good, too. 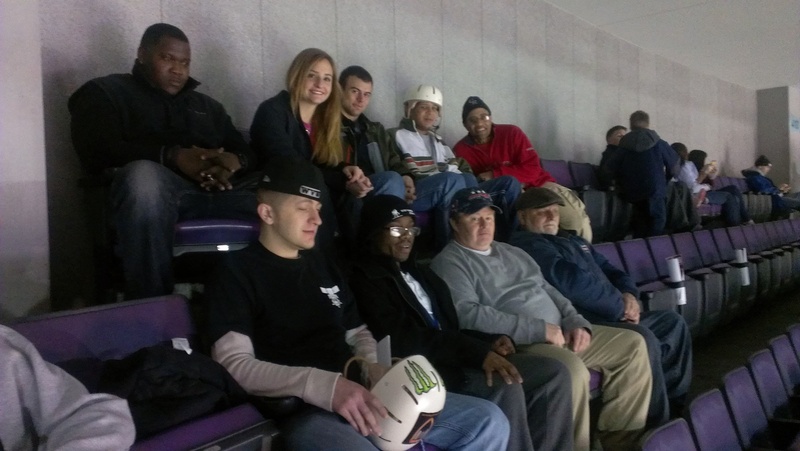 When we made our way to arena after the meal, the Verizon Center staff was especially attentive to the needs of the service members, escorting us to our seats and allowing those with mobility issues to use the employee-only elevators. One staff member even provided a portable chair for a vet who could not get to his seat as a result of his handicap. Dustin, one of our guests from Richmond Polytrauma, kept us all entertained with his unbeatable humor in between periods in the game. Although not everybody was an especial hockey enthusiast, not a one wasn’t caught up in the excitement of the match as we cheered for the home team. More than a sports event, and more than a night out, this event and others like it are an important part of the therapy program offered at Richmond Polytrauma. It allows the recovering soldier to practice being out in public and work through any anxieties or physical impairments. This is another fun and successful occasion Freedom Alliance offers to those who served and sacrificed for our freedom.